These supplies are made for desktop PCs and serve very well as a power supply for 3D printers. Specifications didn't change much since Intel published the ATX standard in 1995, so salvaging one from an older PC is a good idea. An older ATX20 connector fits just nicely into the ATX24 header. Some 6 years ago the main power connector of these supplies got 4 additional pins. The older 20-pin connectors fit nicely into newer headers, so unless these new 4 pins are used, there is no drawback. Generation 7 Electronics does not use these 4 additional pins. 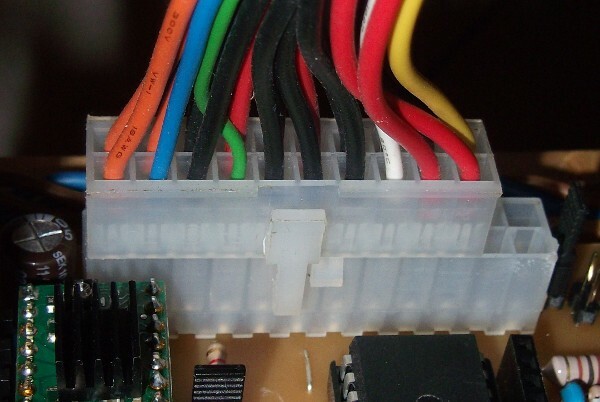 This shows a simple way to connect a lightbuld to an ATX PSU. The 5\_volts string is on the red wire. Some older ATX PSUs (not all) require a minimum load on the 5 V rail to work properly. Whether your ATX PSU requires a base load or not has to be tried. A symptom of this problem is that the PSU will simply refuse to turn on, it immediately shuts down after being turned on, or emits a clearly audible high pitch whine, all unless there is a minimum load on the +5 V rail. 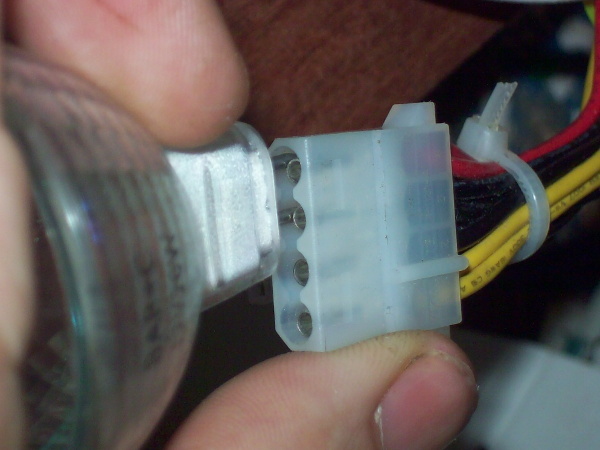 Connecting a 4.7 ohms 10 W resistor, an old CD drive or a 12 V light bulb (into the 5 V rail, see picture) are well proven methods to generate this “dummy” load.